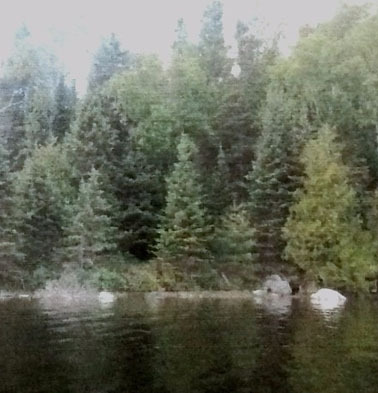 You can now buy Grace Lake Island in Haliburton, and “Create Your Own Private Escape” for $250,000 C — without electricity or anything else (but lots of mosquitoes in such a nicely wooded place). 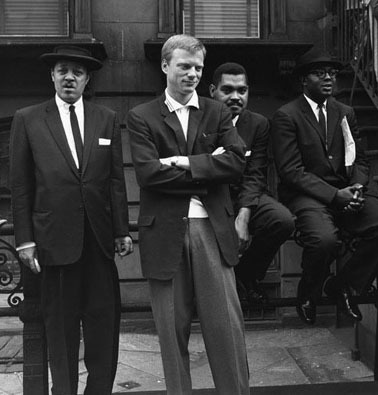 As happens in the digital age this led to a slightly longer look at the “cool jazz” great Gerry Mulligan (6 Apr 1927 – 20 Jan 1996) — first encountered in my misspent youth many years ago. I have just learned from a quite good Wikipedia article that Mulligan died in 1996 at 68. This summer I am remembering someone very close who also played music and died at 68, in 2017. One side of him would just raise his eyebrows and say “@#$% Gerry Mulligan : I don’t like jazz.” Another side might allow a few thoughts (no more) on the virtues of living until you’re 68 and still doing quite a lot with your life. Myself I like jazz. 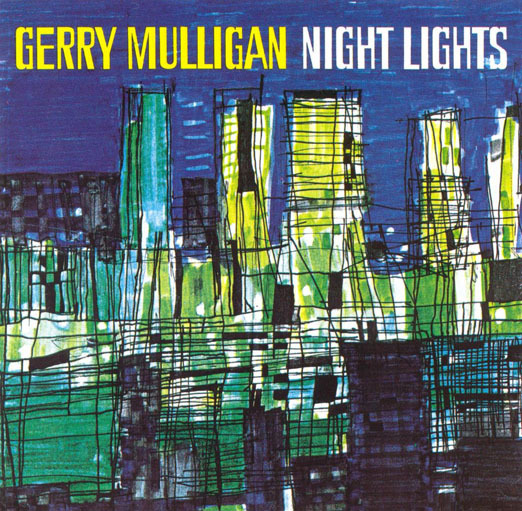 And Gerry Mulligan played a role in my discovery of the larger world beyond the near suburbs and old city north end where I lived as a teenager, from 1958 to 1964. 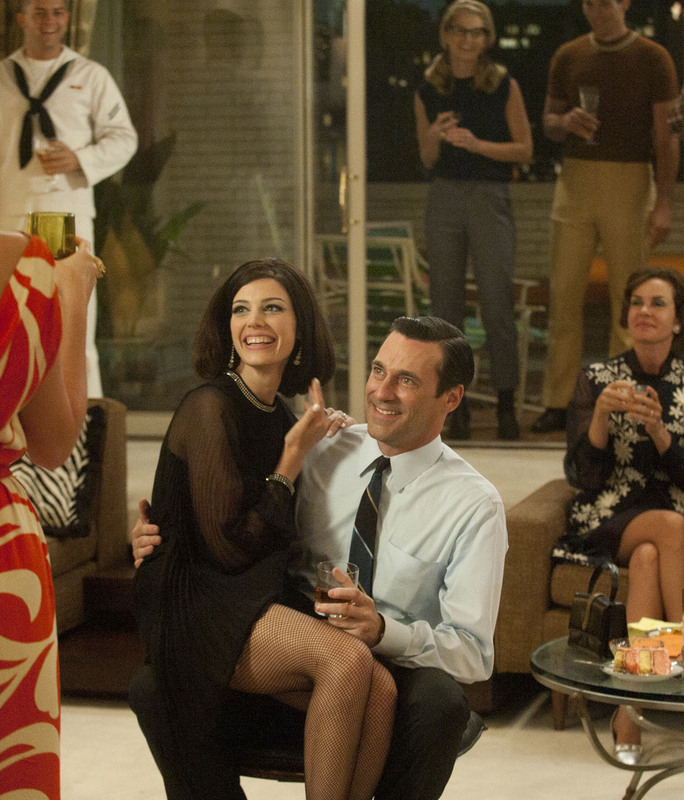 Don Draper’s apartment, in the middle of Gerry Mulligan’s fame in the 1960s. Mulligan was was not deft technically on the still somewhat unusual baritone (the heaviest of the big 4 saxophones to carry). But he cultivated an attractive tone, and used his arranger’s skill to craft tuneful and largely uncomplicated improvisations. Gerry Mulligan’s earliest years also suggest something about what he brought to his music. He was the youngest of four brothers, born in 1927 to a white middle-class family with an engineer father/breadwinner who moved around quite a lot in the US Northeast and near Midwest. 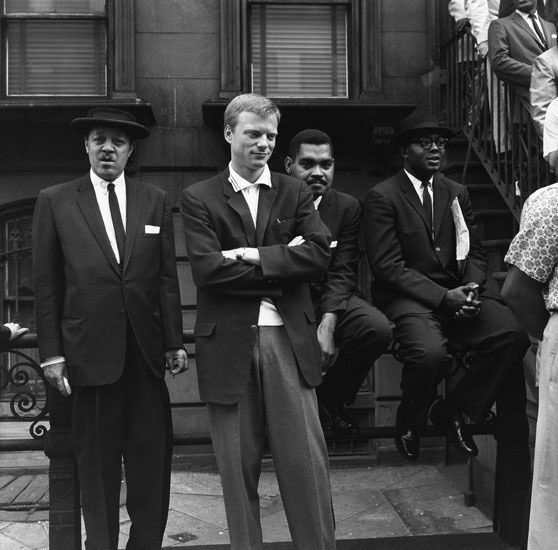 From the 1958 “Great Day in Harlem” photo of New York jazz musicians — l to r : Lester Young, Gerry Mulligan, Art Farmer, Gigi Gryce. Photo : Art Kane. 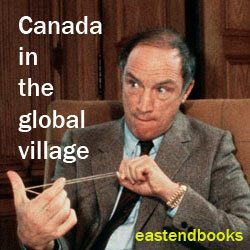 Mulligan was born in Queen’s, New York City. 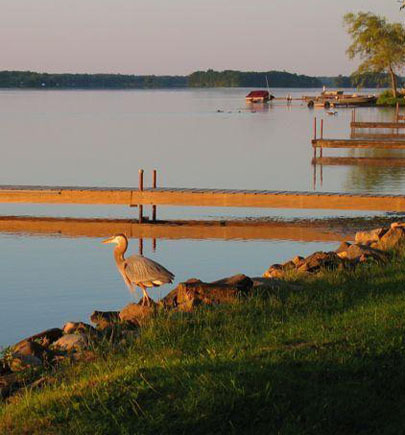 But his family soon moved to Marion, Ohio, where they stayed for a while. The Mulligan family moved again (and again) — to southern New Jersey, Chicago, Kalamazoo (Michigan), Detroit, Reading (Pennsylvania), and finally to Philadelphia. In the early 1940s Gerry began playing clarinet and trying to arrange dance-band music, at a Catholic school in Kalamazoo. 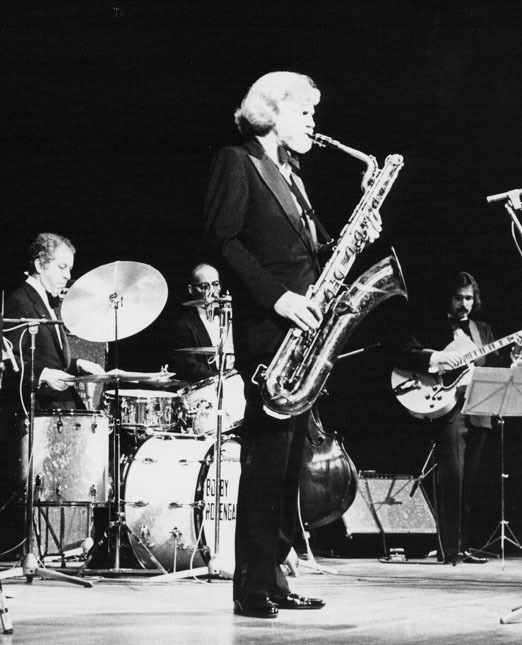 Gerry Mulligan Sextet in Europe, 1976. 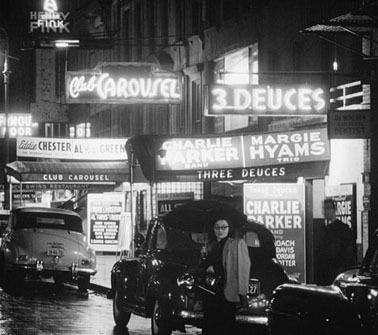 The jazz scene on 52nd Street, New York City, NY, 1948. There is also a Gerry Mulligan website maintained, it seems, by his wife, the former Contessa Franca Rota Borghini Baldovinetti (later Franca Rota Mulligan). For those who are especially interested, the Library of Congress website has a Gerry Mulligan Collection online. And Jeru’s Journey : The Life & Music of Gerry Mulligan, by Sanford Josephson, was published in 2015. As with any musician, however, the best place to start is with the music. In the age of YouTube on the world wide web, that is a lot easier than it used to be. This is the story of how, in the late 1940s and early 1950s, Miles Davis, Gil Evans, Gerry Mulligan, and other racially mixed habitués of Evans’s apartment “with bare heating pipes behind a Chinese laundry at 14 West 55th Street in midtown Manhattan” experimented with one of the several vital streams of modern jazz to emerge from the early 1940s innovations of Charlie Parker, Dizzy Gillespie, Thelonious Monk, and their colleagues. 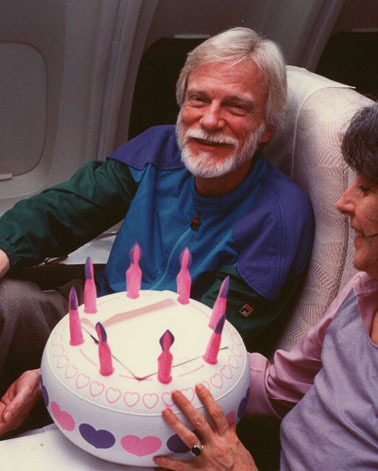 Gerry celebrates his 60th birthday in 1987 with Franca on Alitalia. After perusing this Wikipedia article I’d then listen to at least a little of the collection of the original 1949 and 1950 “Birth of the Cool” recordings released by Capitol records in 1989, based on an earlier collection from 1957. * EVERY TIME WE SAY GOODBYE. While looking for Mulligan-related material on YouTube I inadvertently bumped into a video of Jacqui Dankworth singing an especially poignant version of the Cole Porter classic “Every Time We Say Goodbye” at a concert in Liverpool (UK), April 8, 2015. She is accompanied only by piano. And this reminded me that “Every Time We Say Goodbye” was a favourite tune of the someone very close I am remembering this summer who also played piano and died at 68, in 2017. In a related spirit note the version of the same tune offered (apparently in 2003) by Rod Stewart — accompanied by a giant, attractive, and musically excellent lady tenor saxophone player, who might make the piano player I’m remembering smile. * OUR HOUSE. Every time I remember any loss of life nowadays I also cannot help remembering someone else very close who left our planet far too early in the bitter cold winter of 2014. I take some comfort from knowing that in all three cases — Gerry Mulligan in 1996, and my two very close memories in 2014 and 2017 (to say nothing of Charlie Parker, John Coltrane, and on and on) — the people involved accomplished a great deal that was worthwhile in their time among the living. My two personal cases of course never became as justifiably famous as Gerry Mulligan — like most of the rest of us (and certainly me). Yet, democrat that I am to the end, I cannot help believing that what they achieved was somehow just as important, and certainly for me and others they knew just as worthwhile. In any case very best wishes to all for the rest of the summer we seem to be having, whether we like it or not. Stay cool and all that. Thanks for mentioning my book, Jeru’s Journey: The Life and Music of Gerry Mulligan, in your July 15th column about Gerry. 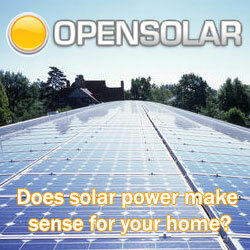 If you would like the publisher to send you a review copy, please let me know. Gerry is truly one of the giants of American music, and I don’t believe he has been given the due that he deserves. He may not be the equal of Duke Ellington, but he belongs in the same category — as a composer, arranger, bandleader and baritone saxophonist.